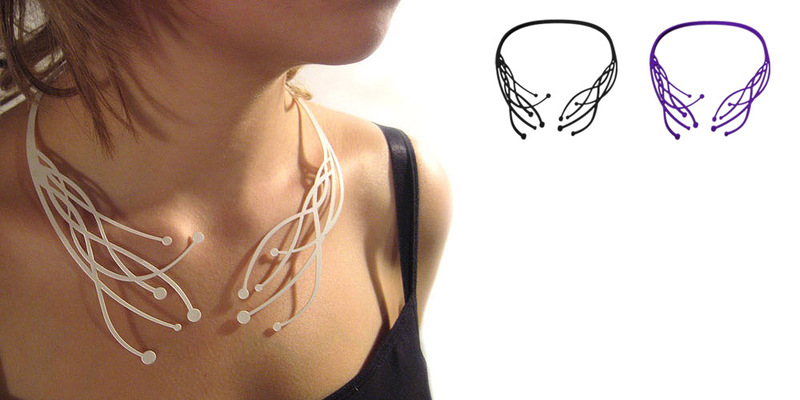 The Neural necklace was inspired by neural structures, which current brain science is more and more coming to uncover. Through fabrication on SLS 3d printers or laser cutters, such a science-inspired aesthetic of intricate geometrical structures can be brought to the masses. Several other jewelry pieces are currently in development. This necklace was created as part of the 'Dutch Design in Doha' exhibition at Katara Arts Center in November 2014. An aesthetic connection between the Netherlands and Qatar can be seen in the patterns in Qatari art and architecture and the Dutch craft of lacemaking. 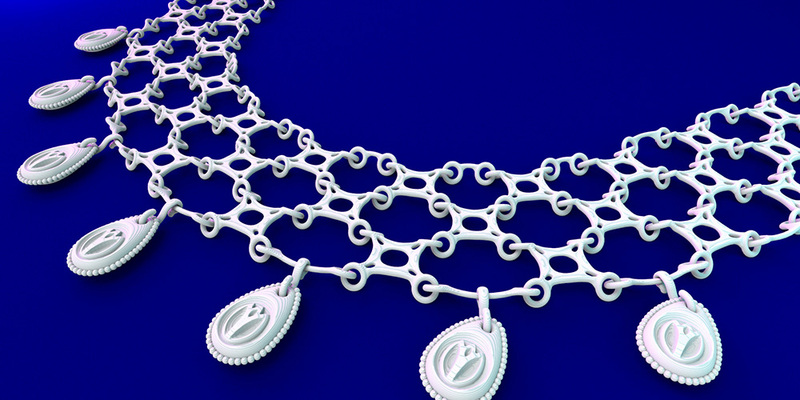 3D printing allows for a modern and reproducible reinterpretation of handmade works of craft, which has been applied by creating several pieces of jewelry. A single element was designed that, when patterned, emulates the look of Dutch lace. For the necklace, the elements were slightly varied to fit the curve around the neck. All elements were produced through the SLS 3D printing process, and the pieces show the limits of how delicately objects can currently be printed with this technology. 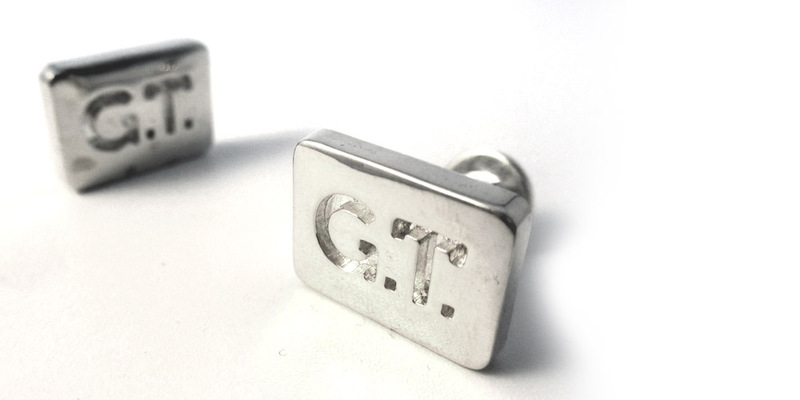 These customizable cufflinks were cast in silver using a 3d printed mold.